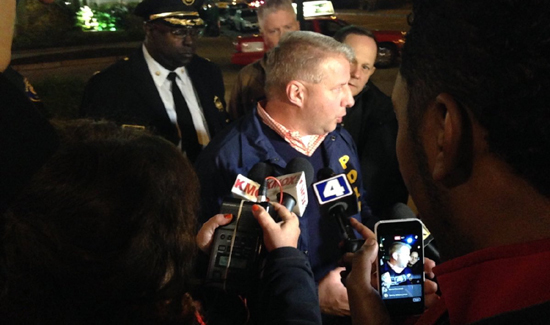 St. Louis Police have killed a gunman they say ambushed an officer in a shooting on Sunday. Around 7:30 p.m. Sunday night, a gunman pulled up in a silver car next to a marked Chevy Tahoe and opened fire, St. Louis Police Department Police Chief Sam Dotson told reporters. The shooting happened hours after a Texas cop was ambushed in a fatal shooting. Police there are still searching for a suspect.